The holiday musical comedy based on the 2003 film of the same title about an orphaned human who thinks he's one of Santa's helpers stars Jordan Gelber as Buddy. It has a score by Wedding Singer songwriters Matthew Sklar (music) and Chad Beguelin (lyrics) and a book by Tony Award winners Bob Martin and Thomas Meehan. 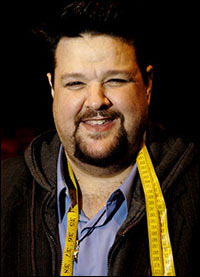 Tony Award winner Casey Nicholaw directs and choreographs the production that runs through Jan. 6, 2013, at the Al Hirschfeld Theatre. Tony Award winner Alice Ripley and Bob Stillman co-star as Mary Todd and Abraham Lincoln, respectively, in the New York premiere of Pulitzer Prize-winning playwright Paula Vogel's music-filled play. Tina Landau directs the Christmas Eve 1864-set play that brings together fictional characters and historic figures. 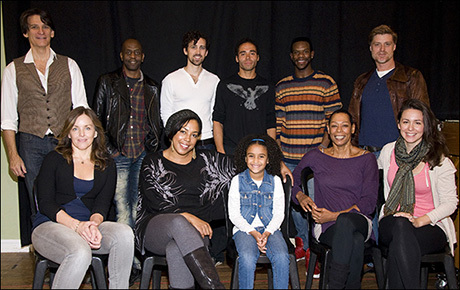 It runs through Dec. 30 at the New York Theatre Workshop. 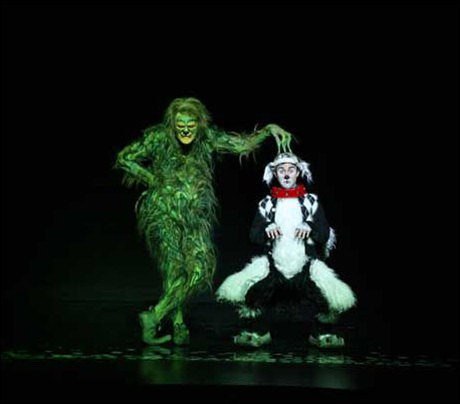 Jeff McCarthy stars as the fuzzy green curmudgeon in the stage production based on the original book written by Dr. Seuss. 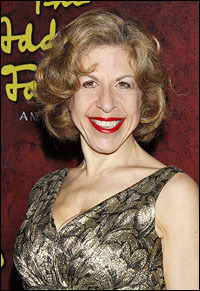 It was originally conceived by three-time Tony Award winner Jack O' Brien. Book and lyrics are by Timothy Mason with music by Mel Marvin and additional music and lyrics by Albert Hague and Dr. Seuss. It runs Dec. 13-30 at the Theatre at Madison Square Garden. Hoffman's biting take on the Dickens tale, which is billed as a "pseudo-autobiographical, one-woman show inspired by Patrick Stewart's A Christmas Carol," is directed by Michael Schiralli. It plays Friday and Saturday evenings at 8 PM Dec. 8-29 at New World Stages. Lilla Crawford stars as the perky red-headed orphan in the Broadway revival of the 1977 show that introduced generations of children to the tuneful optimism of traditional Broadway musicals. Annie has music by Charles Strouse, lyrics by Martin Charnin and a book by Thomas Meehan. James Lapine directs the revival of the musical, replete with a "New Deal for Christmas" as part of its happy ending. Annie continues at the Palace Theatre. Drama Desk Award-nominated designer Chris March, known for his appearance on "Project Runway," debuts his outlandish trailer park-set take on the beloved Christmas tale "The Nutcracker," which runs through Dec. 28 at HERE Arts Center. 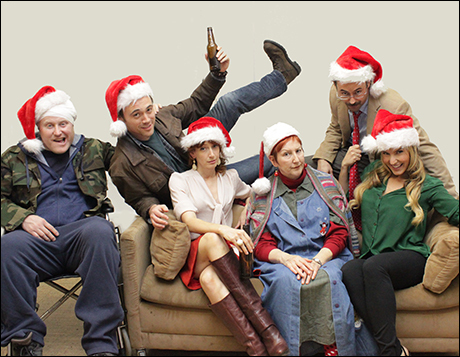 Brian Gianci's holiday black comedy takes place as a family gathers to celebrate Christmas Eve dinner. After a rough year rife with economic difficulties, some family members ponder the question...at 80 years old, how much longer does Grandma need to hold on to her vast fortune? Through Jan. 6, 2013, at the Theatre at St. Clement's. 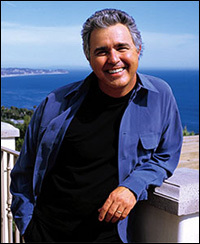 Steve Tyrell pays tribute to Sammy Cahn in an evening that features songs from the famed songwriter whose music continues to inspire generations today. Songs from the engagement include "It's Magic," "Come Fly With Me," "Call Me Irresponsible," "Teach Me Tonight," "The Tender Trap," "Let It Snow" and "The Christmas Blues." Through Dec. 31 at the Café Carlyle. 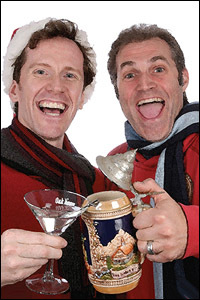 Tony Award nominee Marc Kudisch and Drama Desk nominee Jeffry Denman offer a holiday variety show that promises to "remind you of what the holidays are really about in a hilarious, fun-filled 80 minutes of song and cheer." From Dec. 18-31 at the York Theatre Company. 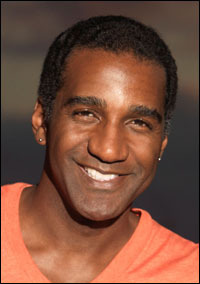 Holiday songs penned by William Schermerhorn, Milton Delugg, Michael Feinstein, Lance Horne, Matthew Sklar, Wesley Whatley and more are performed by a line-up including Norm Lewis, Hunter Ryan Herdlicka, Alix Korey, Julia Murney, Adrienne Warren, Ann Hampton Callaway, Jordan Gelber and Randy Redd Dec. 9 at at Feinstein's at Loews Regency. 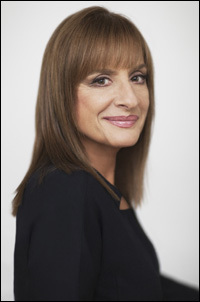 Two-time Tony Award winner LuPone, currently back on Broadway in The Anarchist, will ring out the old and ring in the new on New Year's Eve with her acclaimed nightclub act Far Away Places, which will play two performances Dec. 31 at 54 Below. A special three-course New Year's Eve dinner, including a champagne toast, will be offered for the 7 PM and 11 PM shows.